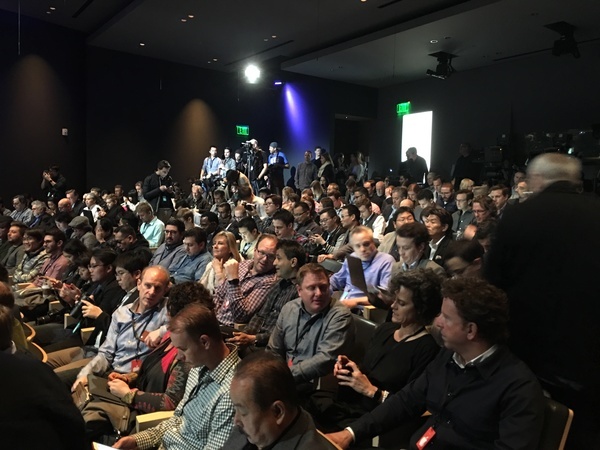 Join us as we join Apple in Cupertino for its first media event of 2016, which is widely expected to usher in the new iPhone SE and a successor to the iPad Air 2 -- a 9.7" iPad Pro with Apple Pencil Support. That's all the execs up front. 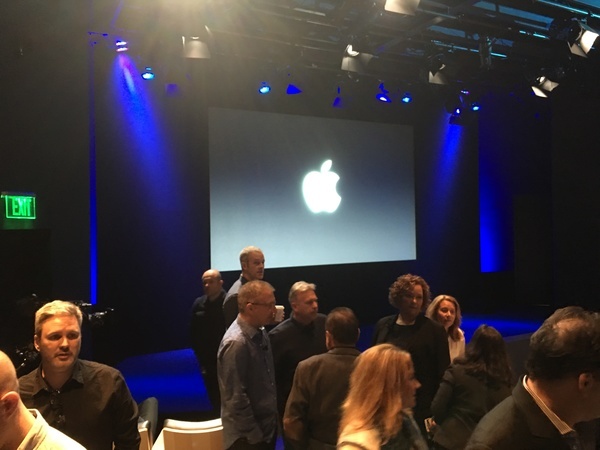 For those watching at home or work, the pre-show tunes are courtesy of Beats 1. Any chance that Apple launches its in-the-works Beats 2-5 stations today? We'll find out soon enough. 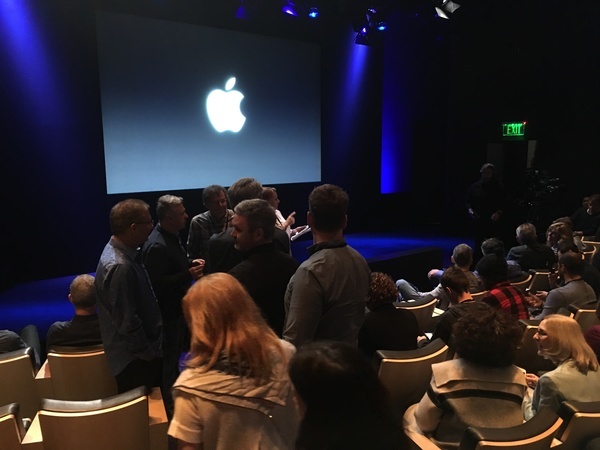 In the past, the pre-show music has been a playlist. Playing Beats 1 is new. 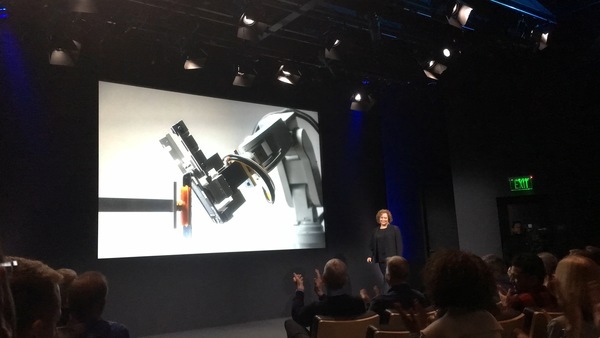 This is the standard public relations portion that starts off all Apple keynotes, but "Liam" is one of the few times they have announced some actual news during this segment. 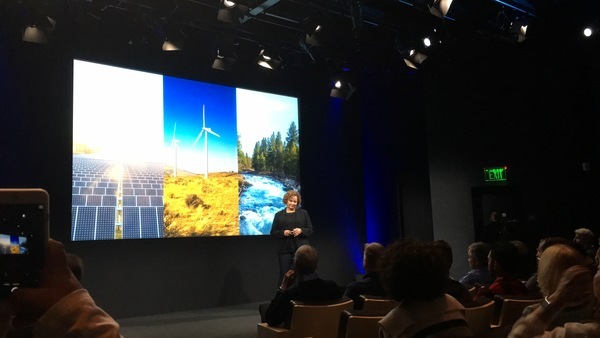 "With Apple Renew, you can recycle your devices..." in a way that is easy and responsible. Great job by Lisa. Tim is back to the stage. Jeff Williams is up to talk Health. 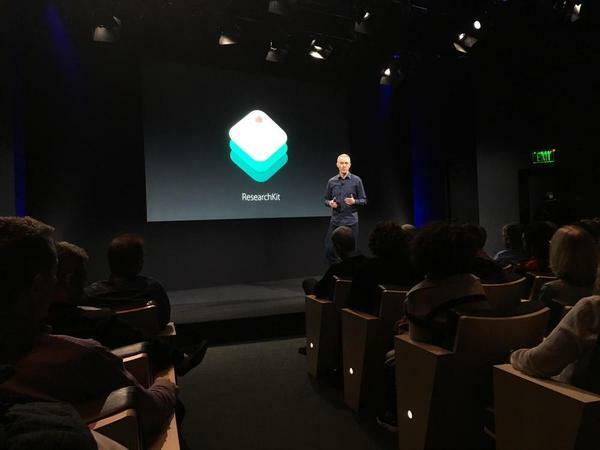 "Last year we introduced ResearchKit. Our goal was to solve some of the biggest problems facing medical research" using the devices we're all carrying in our hands. A little bit of gravity failure in Cupertino, it seems. Now playing a video about ResearchKit. App developers, doctors, and patients are taking these ideas and making them more powerful than ever believed. "We can detect autism as early as 18 months. The median age is 5 years for diagnosis." eventually a tool could be developed for parents to use to diagnose at home. "We have a chance to understand childhood development in a completely new way." 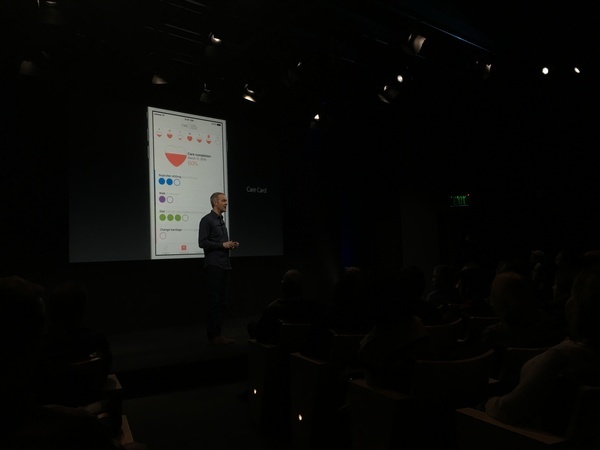 "With ResearchKit, we're getting day by day insights into how people are doing." Autism, Parkinson's, spoken about so far. 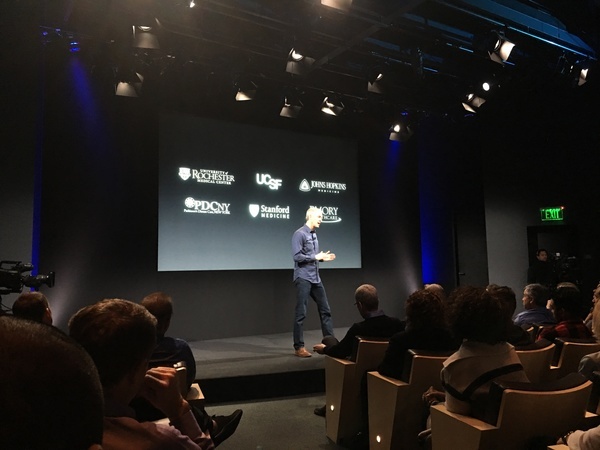 "If we can bring research and care together, and bridge the gap, we can really improve how people live their lives"
Now showing an Apple Watch app to collect data during epileptic seizures. 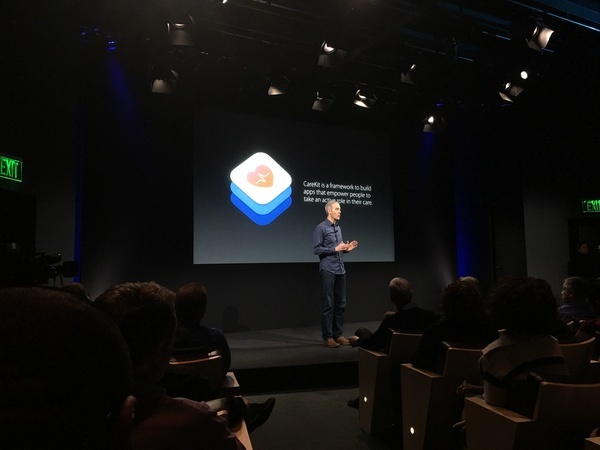 Apple tugging at the heartstrings here talking about ResearchKit and its potential. Empowering people with information about their health is incredibly important. Today, we're launching CareKit. 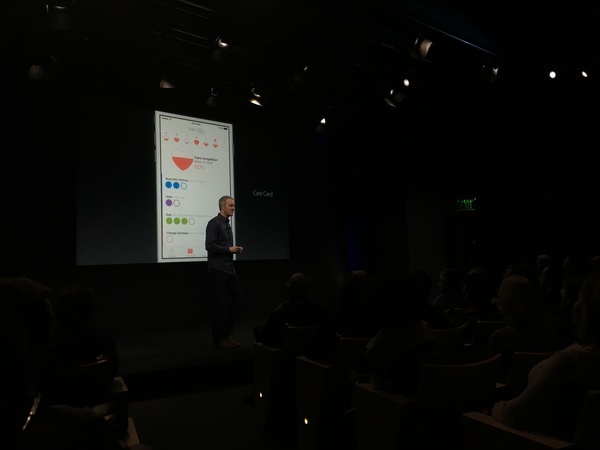 The very first CareKit app released today is for Parkinson's. 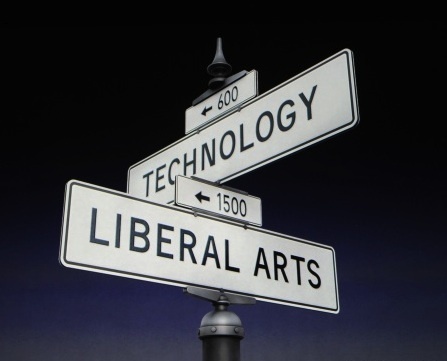 It surfaces valuable information so people can start understanding their health. U of Rochester, UCSF, Stanford, Emory, PDCNY all participating in CareKit. In the past, you'd get a careplan when discharged that gave recommendations to follow. Here, physicians can update your care plan in realtime. CareKit will be open source and available in April. 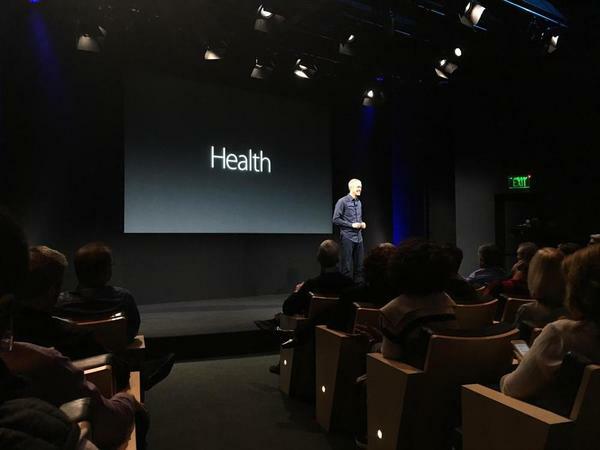 Because it's medical information, Apple is protecting it, and your privacy. 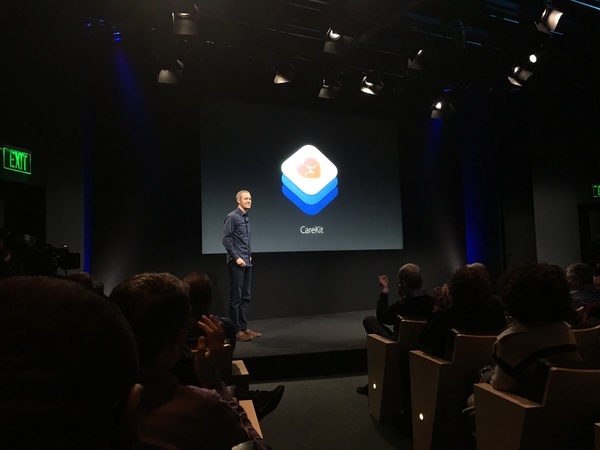 Tim Cook: It's amazing in such a short period of time that ResearchKit has had such a profound impact, and it's our hope that CareKit can have the same impact on care. 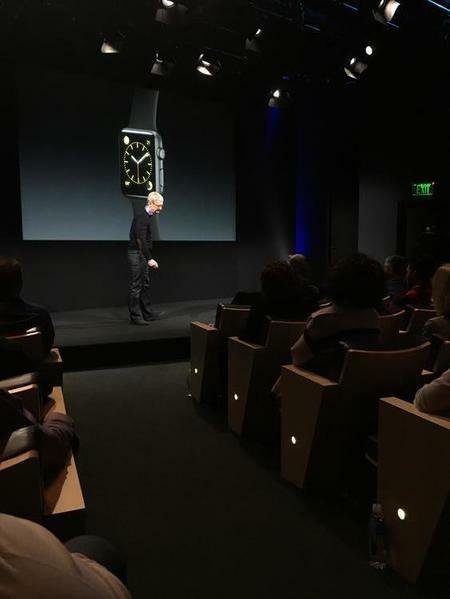 since we launched it less than a year ago, it has become the top selling smartwatch. It's become a central part of customer's daily lives.